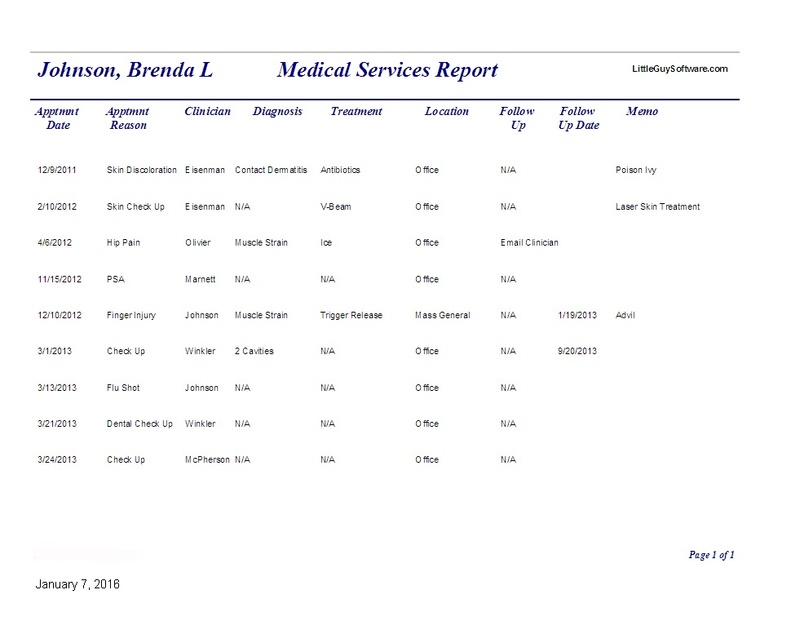 One-click summary reports on every past medical appointment for you and each member of your family including dates, procedures, dx, and follow ups. 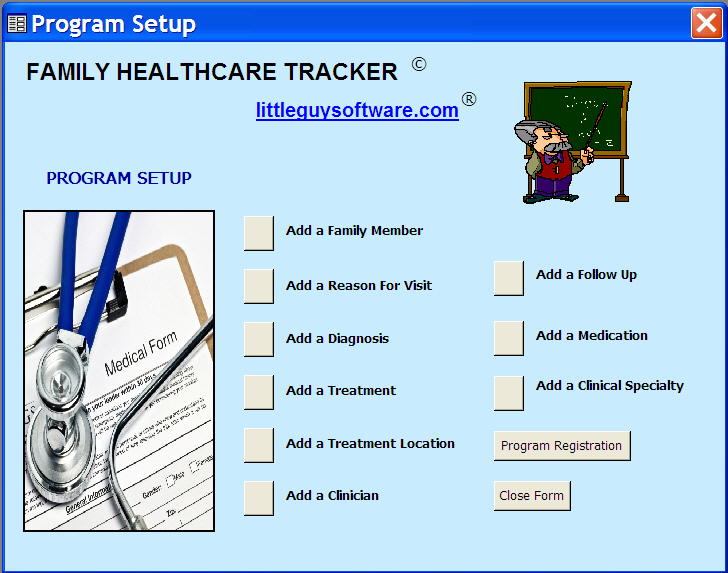 With built-in, pre-populated drop down menus you can add to, sort data by family member. See appointment dates, reason for visit, diagnosis, treatment and follow up. 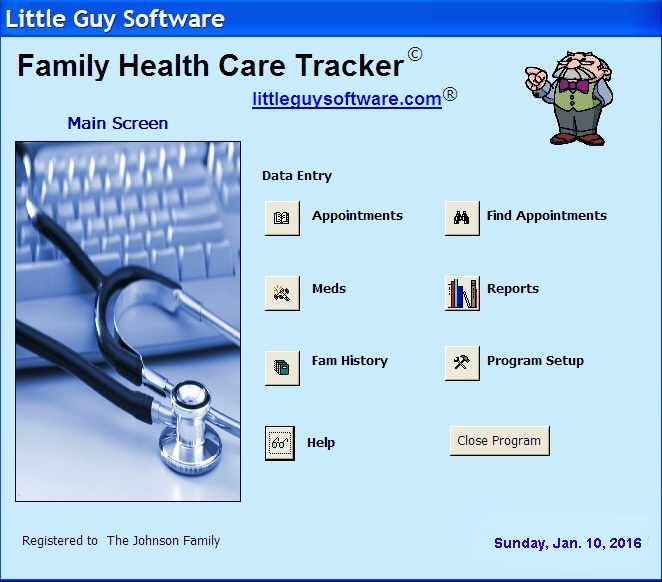 In two mouse clicks retrieve all colonoscopy dates or eye exams or mammograms or PSAs or vaccinations or dental cleanings, etc., in a clear, organized, printable report. 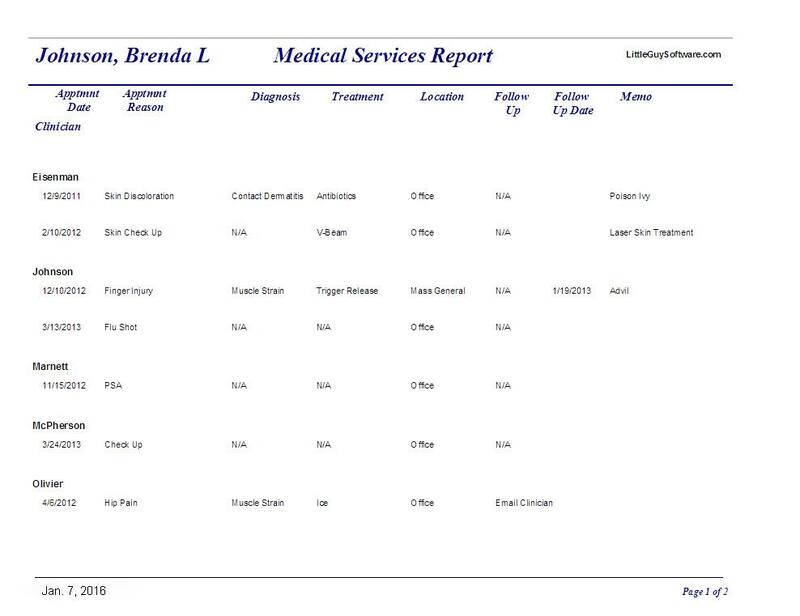 See all future scheduled appointments for your family in one report. Print your current medication list to take to an appointment. 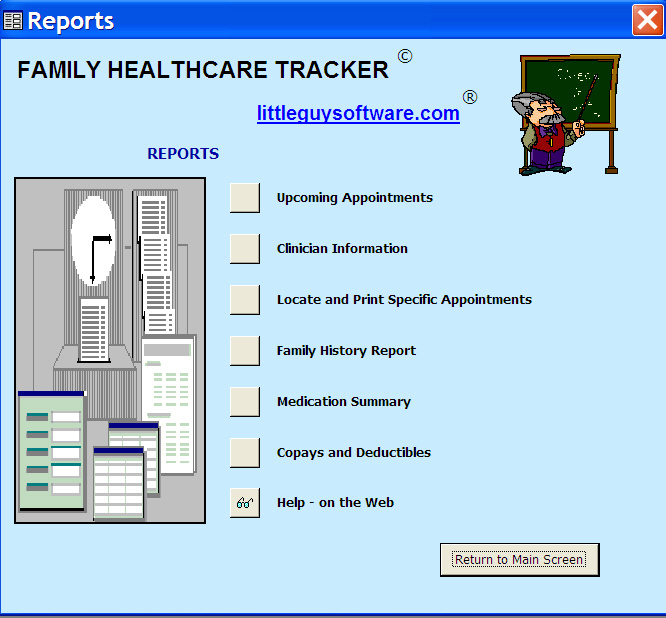 Get a printout of your relevant family medical history. Get a summary of all of your copay or deductible payments for any time period you request. Keep all clinician phones nos. and email addresses in one location for easy access. Here's the Main Screen. It's your access point to data entry forms and reports. Easily add new service dates, using the existing pull-down menus. Everthing you enter from the pull-downs, will appear below. An Much, Much more.... including medication lists, family medical history, Names, addresses, emails, phones, etc. of all your clinical practitioners. Special price of $39.50 FOR A LIMITED TIME. Delivered on CD. You will not need tech support but we provide live phone support anyway.